16 Chef for 16 Panini: a unique and tasty food experience whit PDO and PGI cured meats. I Love Italian Food once again becomes the mouthpiece of the real Made in Italy with a new format video to tell worldwide the protected Italian cured meats and their connection with the territory. A new project created in partnership with ISIT - Istituto Salumi Italiani Tutelati, the reference association of the Consortium for the Protection of POD and PGI cured meats. 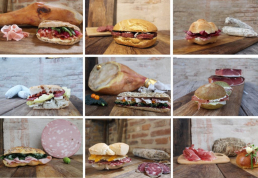 And what’s better than than panino, the symbol par excellence of Italian street food, to tell the real Made in Italy? Therefore, we selected chefs of the network of I Love Italian Food and asked them to create the recipe of a 100% Italian sandwich. Not a normal panino, but the perfect combination to show the authentic Italy, bringing together flavours and territory, all linked by the fil rouge of excellent cured meats. I Love Italian Food tells, through its channels, the panini signed by the chefs, the true ambassadors of Italian cuisine. Creativity, tradition and taste will be found in this series of videos that shows to Italian Food Lovers from all over the world how to best combine some of the excellences of our traditional gastronomic heritage: the PDO and PGI protected cured meats. 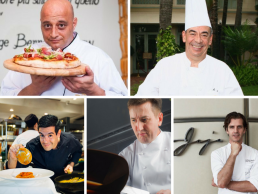 Thanks to all the Chefs who contributed to the project: Natalino Ambra, Stefano Brombal, Michele Casadei Massari, Ciro Cristiano, Marcello Ferrarini, Nicola Iovine, Michele Mazza, Alessandro Miceli, Corrado Michelazzo, Roberto Rispoli, Andrea Ruisi, Salvo Sardo, Diego Simonetta, Massimo Spigaroli, Raffaele Solinas, Roberto Valbuzzi. 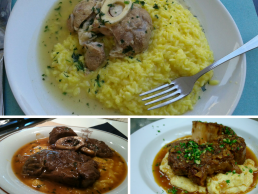 Special thanks to Osteria del Maiale. A project realized under the patronage of Mipaaf - Ministero delle politiche agricole alimentari e forestali. Roberto's is the brand born in Dubai, the ideal place for a business lunch, a family brunch or a fancy dinner. 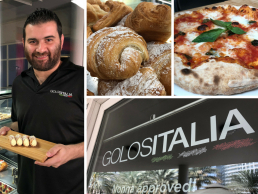 With its fresh pasta and raw-fish, Roberto's has been repeatedly recognised as the best Italian restaurant in Dubai by the city's most influential guides. 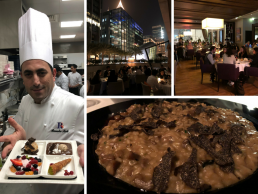 Also thanks to his Head Chef Alessandro Miceli, creator of this successful story, who with his twenty-three years of experience developed through Italy, United Kingdom and United Arab Emirates, continues to assure to its guests the highest quality and the real Italian taste. Roberto's is located at Gate Village, Building 1, in the Dubai International Financial Center. The first stage of the new project signed I Love Italian Food arrives at Thaifex,the event of reference for the food industry professionals of Southeast Asia on its 15th edition, from 29 May to 2 June at the Impact Exhibition and Convention Center. The 100per100 Italian Lounge (Impact Hall 2 - Booth I 23) will be the place to tell the true Made in Italy, where every day renowned Italian chefs from the Bangkok area will present the iconic products of Italian cuisine. Not only performance and show cooking, but also meetings with Italian food and wine professionals who have made their way into the Thai market. 4.00p.m. : Interview with an Italian businessman of the F&B area. 2.00p.m. : Interview with an Italian businessman of the F&B area. 4.00p.m. : Interview with Chef Norbert Kostner, ex Executive Chef of Mandarin Oriental. 11.00 a.m.: Italian Food Stories: The Aceto Balsamico di Modena PGI- storytelling and show cooking performed by Chef Stefano Merlo, Executive Chef of Sensi Restaurant. 4.00p.m. : Interview with Chef Flavio Argenio, Head Chef of Appia Restaurant. 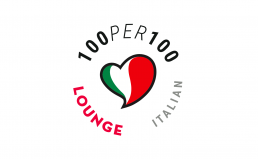 I Love Italian Food presents its new project: the 100per100 Italian Lounge. A tool designed to share whit international professionals within the main food and wine fairs in the world the real Made in Italy. 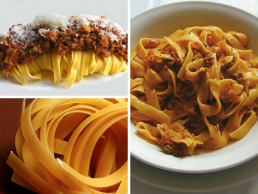 In the 100per100 Italian Lounge, well-known Italian food and wine professionals living abroad will present iconic Italian products, combining their experience in dealing with the richness of Italian food with the needs of individual international markets. After the two tests carried out in partnership with the Italian Trade Agency during FHC China, in Shanghai, and Gulfood, in Dubai, the first 100per100 Italian Lounge will take shape on May 28th within Thaifex, thanks to a partnership exclusive with Koelnmesse, organizer of the event. After Thailand, the event will be repeated in Beijing, within Anufood China, always in partnership with Koelnmesse. Next September we will officially present the calendar with the new and interesting events for 2019. 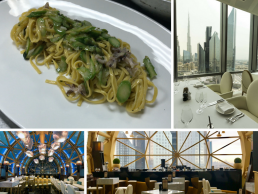 Enjoy the real Made in Italy while watching the most incredible skyline of Dubai is now possible at Al Grissino: the restaurant offers a breathtaking view of Burj Khalifa and a variety of fish-based dishes of the most renowned Italian culinary tradition. Arrived in Dubai in 2015, Al Grissino managed to preserve the traditions of the Milanese namesake local, born in 1956, in the eclectic and multicultural contest of Middle East. Authors of this adventure are Luca Bottino, Restaurant Manager, and Diego Simonetta, Executive Chef, who has signed the extraordinary menu, whose specialties are fish-based dishes, marinated appetisers and raw fish. Al Grissino is not only a fine restaurant, it is also a special place to have a drink before or after dinner, suspended in a glass bubble between the Emirates Financial Towers. The restaurant, in the heart of the Persian Gulf, is located on the sixteenth floor of the Emirates Financial Towers at DIFC, the Dubai International Financial Center. Ricotta and chocolate, a combination of softness and creaminess: an ideal cake for breakfast or a snack! An extremely tasty cake for all tastes! Put the flour like a fountain on the work surface, make a hole in the center and add an egg, sugar, vanilla, lemon zest and diced butter. Work the ingredients quickly with your hands and form a smooth ball; put it in the fridge for 30 minutes, wrapped in transparent film. Put the ricotta in a bowl and mix with the egg, sugar, liqueur and flour. Grate 50 g of chocolate and add it to the mixture. Mix well. Grease a round opening mold (20 cm in diameter) and sprinkle the ricotta mixture on the bottom, leveling it well with a spoon. Take the dough out of the refrigerator and make small balls the size of a walnut. Distribute them over the ricotta mixture and bake at 180 ° C for 30 minutes. Allow the cake to cool, then carefully remove it from the mold. Sprinkle with chocolate powder. 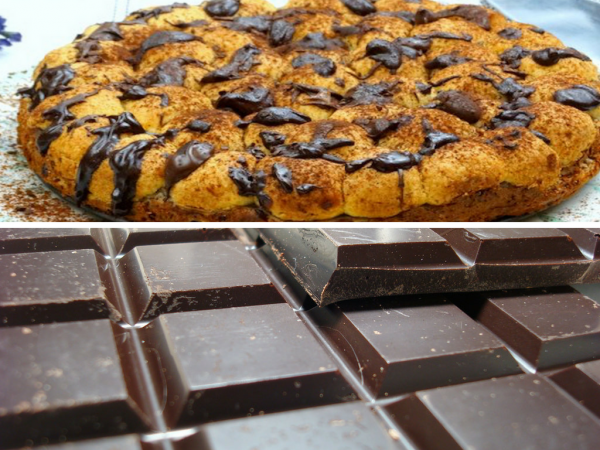 Melt the remaining chocolate in a bain-marie with a knob of butter and let it fall flush with a spoon over the cake. A dish characterized by an extremely succulent meat cut thanks to the presence of the marrow and the long cooking! A second dish that can also be combined with saffron risotto! Fry the slices of veal in an oiled pan on both sides. Remove the meat from the pan, clean with absorbent paper and add some new oil. Add the vegetables cut as julienne strips and the tomatoes cut into thin strips. Add the meat again and blend with the white wine. Once the wine has evaporated, add a little broth, cover the pan with the lid and cook over a low heat for about 30 minutes. Wash the parsley and chop it together with the lemon zest, thus creating the "gremolata". Once the meat is cooked, add the "gremolata" and cook for another 10 minutes. Serve with a Milanese risotto.